Normally, writing my “24 hour in ..” a city posts are tough, because 24 hours is never enough. In Bangkok’s case, it’s perfect amount of time. This is one of my least favorite cities that I’ve ever visited. I disliked the oppressive heat and humidity, the crazy traffic and the awful stench that follows you wherever you are in the city. So, after that rousing introduction, here’s my 24 hours in Bangkok itinerary. So we’ll start the tour with some of the biggest landmarks in Thailand, luckily they’re all within close proximity to one another. The Grand Palace, Wat Phra Kaew, Wat Pho and Wat Arun. The Grand Palace is easily Bangkok’s most famous landmark. Built in 1782, and for 150 years home to the Thai King, it’s a dazzling complex of buildings. Its intricate designs and architecture are simply stunning. The entrance fee to the palace is a lofty 500 THB, but I thought it was worth it. There’s vibrant colors and gold leaf everywhere, making for many great photo opportunities. If you’re interested in the history, you can take a tour or visit the museum. 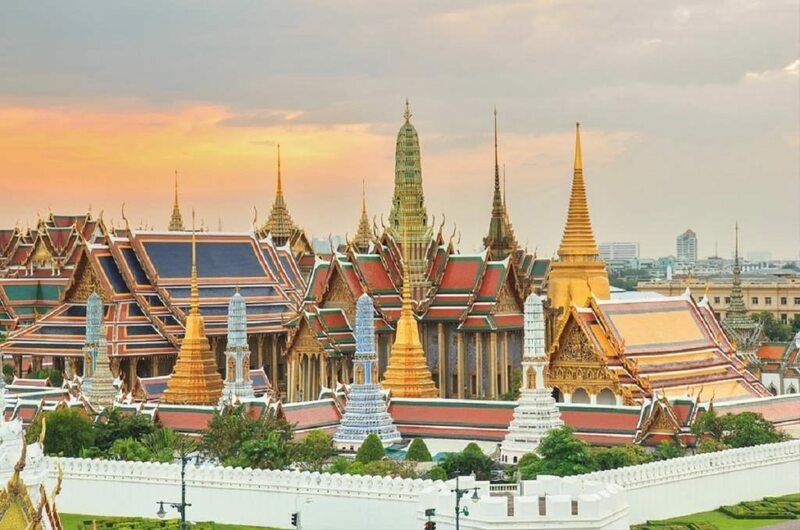 Located on the Palace grounds is Wat Phra Kaew, which is regarded as one of the most important temples in Thailand. Inside this temple you’ll find the statue of the Emerald Buddha. This Buddha, which dates back to 15th century, is actually carved from a single block jade. I have to admit, the statue was smaller than what I was expecting, but it was still interesting. 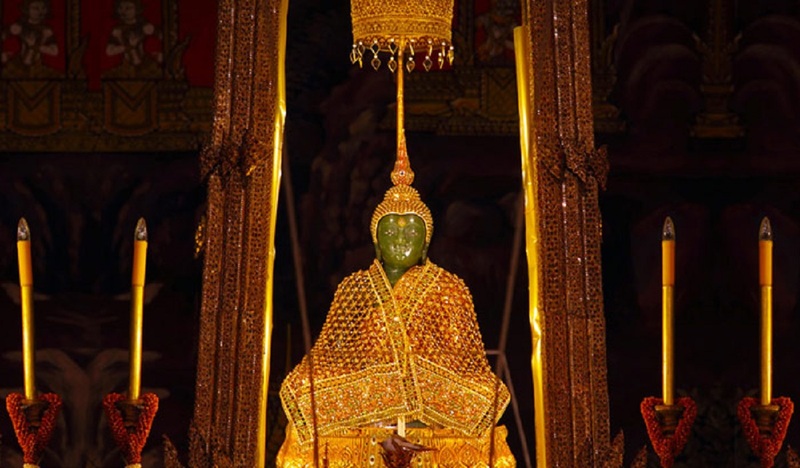 Wat Pho is located behind the Temple of the Emerald Buddha (Wat Phra Kaew). 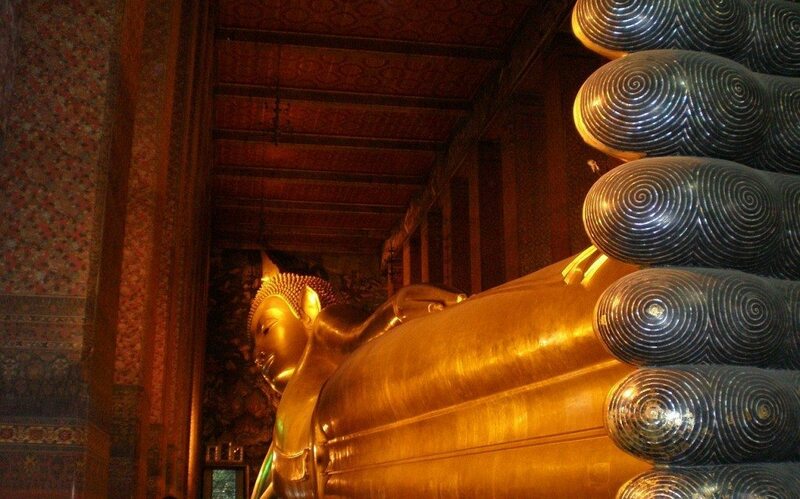 This temple contains the Reclining Buddha, which is one of the most impressive Buddha statues in the world. The giant statue measures 46 meters long and is covered in gold leaf. 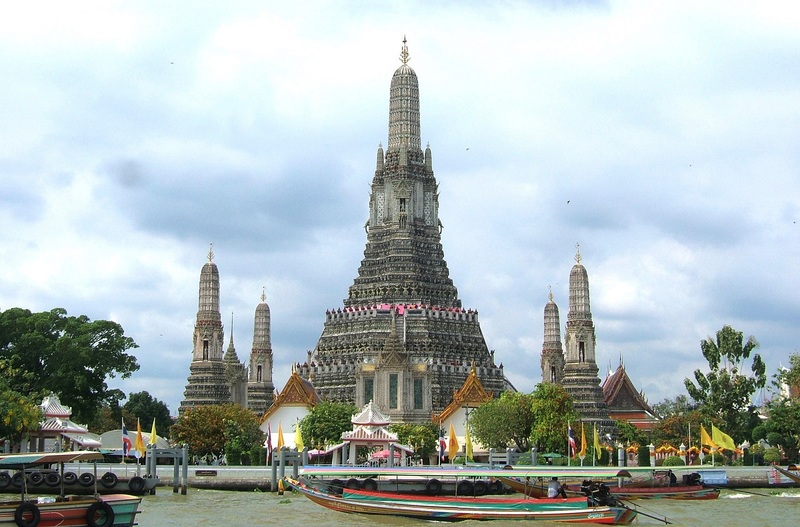 Wat Arun is my favorite temple in Bangkok, probably because it looks so different from all the other temples. Perched on the river bank of Chao Phraya, its majestic spires tower of the surrounding landscape. At night, with lights shining on it, Wat Arun is even more beautiful. Option #1 (Retail therapy): I know what you’re thinking, I’m in Bangkok and where gonna waste time in a mall? I can do that back home. Yes and no. This is retail therapy, Bangkok style. 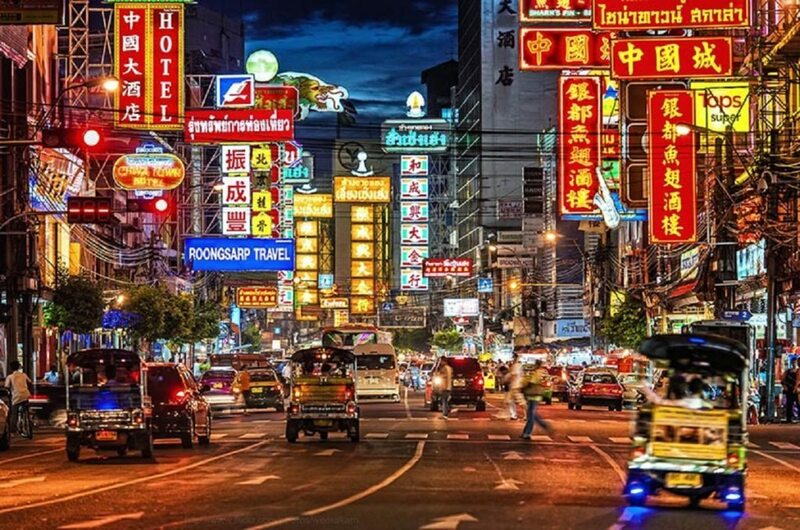 The Siam Shopping District is famous area filled with shopping centers, such as: Siam Paragon, Center, Discovery, Square and MBK. 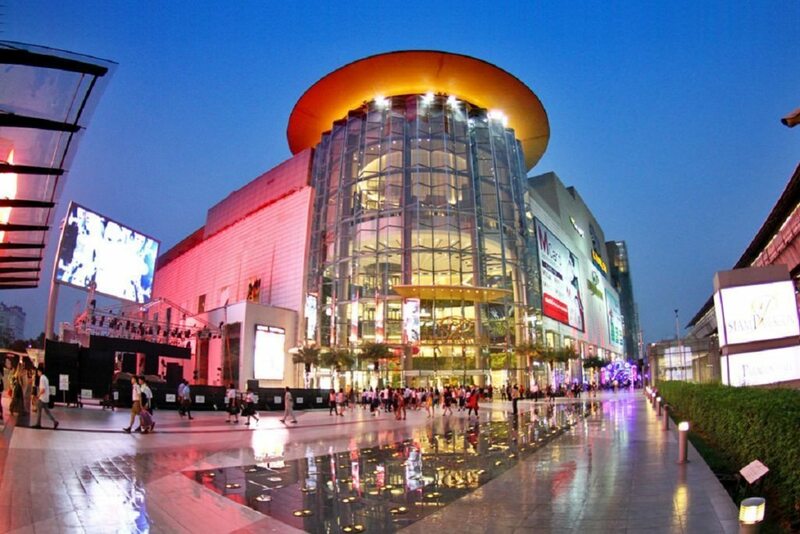 These malls will offer you everything you could imagine, from cheap stands, to affordable brands to high end shopping. Plus it will offer a welcome respite from the brutal heat. Option #2 (Chinatown and Wat Traimit): The other option also includes retail therapy, but the more traditional kind. Head off to Chinatown. This is a great area to explore and the perfect place to grab some street food. Chinatown also offers a lot of good shopping options. You can buy trinkets, souvenirs and gifts for family and friends from your trip. Once your done, head to Wat Traimit. This temple is famous for holding the world’s largest Buddha statue made of pure gold. It has an estimated worth of 250 million dollars. Vertigo Grill & Moon Bar – Banyan Tree Hotel. We’ll wrap up your evening by heading to the upscale Vertigo Grill & Moon Bar, located on the 61st floor of the Banyan Tree Hotel. 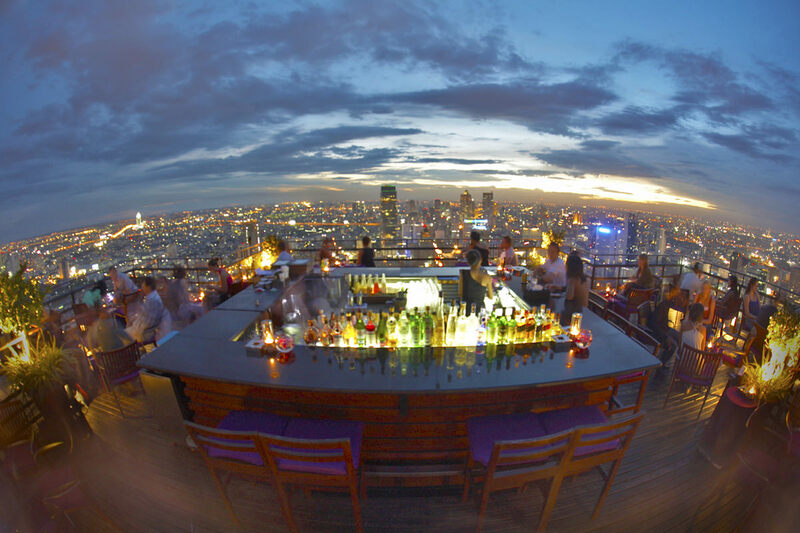 This is an incredible rooftop bar with panoramic views of the Bangkok’s skyline. It’s perfect place to grab a drink (maybe some food) and enjoy the view of the sun setting in the horizon, and it’s the perfect way to end your tour of this city.